Our Cascade Light series features a high performance “M” fiber that can withstand any moderate to heavy foot traffic levels making it a great choice for any commercial or residential landscape areas that endure consistent active movement. Everlast Turf Cascade Light features an approximate 1.625” pile height and beautiful field and olive green blade color combinations, emulating the characteristics of a real grass lawn. Paired with these natural color tones, Cascade Light also features a brown thatch which adds to its striking realistic appearance.This product is non-toxic and lead free, creating an excellent play area for kids and pets! 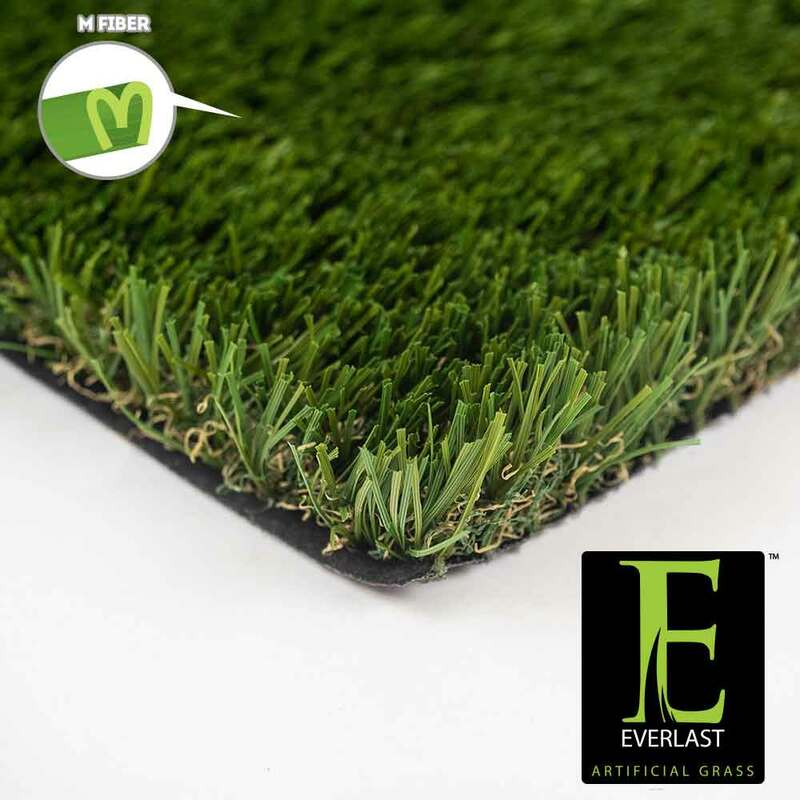 An approximate face weight of 50 ounces, Everlast Turf Cascade Light is an ideal choice for any front yard or backyard installation. A drainage rate of 30 inches of rain an hour eliminates any future puddles, sitting water that would attract pesky bugs and mud! Each grass blade is triple reinforced into the backing which provides this turf an exceptionally strong resistance to pull force. We guarantee your Everlast Cascade Light artificial turf lawn will save you water, time and money! This product is backed by our 15 year warranty.